Today, enterprises have more mobile technology options available than ever before, which is increasing both complexity and the demand for mobile expertise, deployment resources and 24×7 mobile support. There is a need to help manage a company’s entire mobile lifecycle as they plan, deploy, support and monitor their mobile solutions. Although many new companies have attempted to solve this issue only a few have succeeded. One amongst them is Norcross, Georgia headquartered Stratix Corporation. Founded in 1983, Stratix is positioned as an enterprise mobile managed services provider for Fortune 1000 companies. Stratix provides a single point of contact to customers for delivering, supporting and managing the entire mobile infrastructure. 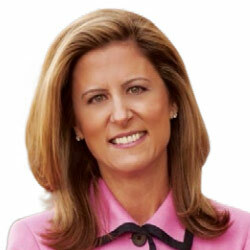 “Our 30 years of experience in helping enterprises integrate mobile technology within the supply chain has uniquely positioned Stratix as one of the most trusted partners for supporting the world’s largest mobile manufacturers, carriers, and mobile solution providers such as Apple, AirWatch, ATT, Motorola, Samsung, SAP, Verizon and many others,” says Gina Gallo, President and CEO of the company. From planning, procurement, provisioning to deployment, support and analytics, the company provides real-time visibility 7x24x365 for clients’ entire mobile operation. With close to 1,000,000 managed devices, Stratix is considered as one of the largest enterprise mobile managed service providers. The firm’s extensive experience from managing rugged, mission critical mobile solutions and continued evolution into managing an enterprise’s entire mobile portfolio sets it uniquely apart from the independent service providers. Regardless of a company requiring rugged or consumer technology, or corporate liable or BYOD programs, Stratix has the systems, process, people and partnerships to tightly link and leverage the value of independent product and service offerings. The team’s knowledge of the blue, grey and white-collar mobile workforce, has contributed greatly toward building out one of the most robust infrastructures for providing a complete range of lifecycle management services. The Stratix mobile technical support center is managed by mobile experts trained not just on the hardware, but also on the entire suite of business applications and MDM offerings residing on the mobile device. The technicians provide Tier one or Tier two support for rugged and consumer devices, iOS, Android and Microsoft operating systems and all line of business applications. However, the unique differentiator is the Stratix itrac360™ mobile enterprise portal. itrac360 is the only portal of its kind that can provide real-time reporting and analytics from the point of acquisition, delivery and support through disposition. An extensive database which captures every support call, mobile device, employee information, end-user applications, repair history, service level monitoring, reverse logistics and customer specific alerts required for supporting their mobile environment. In addition, iTrac360 delivers integrated telecom expense management capabilities along with access to documented API’s for customer specific system integration requirements. Stratix spans all verticals such as; manufacturing, retail, transportation, hospitality, with companies such as Coca Cola, The Home Depot, American Airlines, Hallmark, and Caterpillar amongst others. Stratix and their customers see the future of mobile being delivered as a service, with hardware, software, and services as one product for a monthly fee. Mobility as a Service will also provide agile and flexible programs focused on delivering the right solution at the right time coupled with critical corporate information. Data collection, application linkage, visualization, security, analysis and KPI metrics will continue to evolve. Dashboards with a single pane view into expense management, mobile device management as well as performance based management systems will also become a required enterprise tool. Stratix sees itrac360 evolving into that common bridge for integrating the technology, reporting, and view into an enterprise’s entire mobile infrastructure.